Patterson Belknap obtained a complete victory for Maiden Lane III, LLC, an instrumentality of the Federal Reserve Bank of New York created in connection with the 2008 rescue of American International Group, in the U.S. Court of Appeals for the Second Circuit. The firm had prevailed in the District Court on summary judgment before Judge Jed Rakoff, and an appeal was taken by some of the parties. The case involved the interpretation of two CDO indentures, which were the subject of interpleader actions brought by Bank of America, the successor indenture trustee. The trustee sought a determination as to the proper allocation of funds to Class A-1 and Class A-2 noteholders. The indentures contained apparent inconsistencies and gaps in their waterfall provisions, which created uncertainty for the trustee in making its distributions. 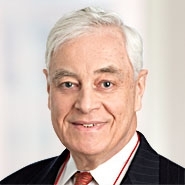 Patterson Belknap successfully argued to Judge Rakoff, and on appeal to Judges Pooler, Parker and Livingston, that (i) the apparent inconsistency should be resolved for the benefit of the Class A-1 noteholders as a result of a "notwithstanding" clause found in the waterfall (citing Bank of N.Y. v. First Millennium, Inc., 607 F.3d 905 (2d Cir. 2010)), and (ii) a gap in the indenture provisions should be filled by the Court for the benefit of the Class A-1 holders as a matter of law and without discovery, based upon the clear intent found in the document to subordinate the more junior noteholders' interests (relying in substantial part upon the Restatement (Second) of Contracts). Firm attorneys on the case were David W. Dykhouse and David Slarskey. The decision can be found here.